As the First World War spread across Europe to Turkey and Salonika, new medical facilities were needed to treat the Western Powers battle casualties from these two new campaigns. It was not just the wounded that needed treating, harsh climatic and living conditions meant that disease, particularly dysentery and malaria, was rife and within a short period of time thousands of men required urgent care. As with the Crimean War before, the island of Malta thus became a key medical centre and earned its nickname as the ‘Nurse of the Mediterranean’. Badly wounded from Gallipoli started to arrive in Malta by May 1915, and by the end of the campaign some 58,000 troops from the Dardanelles had been treated within the Maltese hospitals. At its peak in January 1916 there were twenty-seven hospitals on the island with some 25,000 beds. The Valletta Station Hospital served as a sorting base for the wounded arriving in the hospital ships prior to their being transferred to the other hospitals and camps scattered over the Islands. The Valletta Hospital itself was reserved for dangerously ill cases that could not be safely moved. 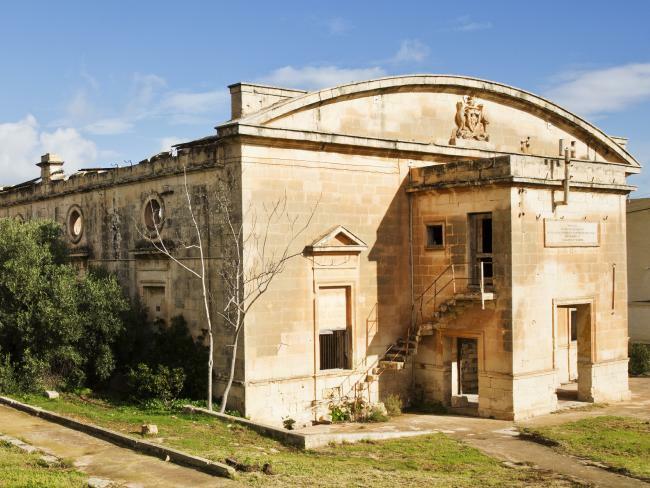 The principal hospitals and camps used were the commissioned Naval and Military hospitals at Bighi Naval Hospital, Valletta Hospital, Cottonera Hospital, Forrest Hospital, Mtarfa Hospital and Chambray Convalescent Depot. The highest number of patients treated in one day was 21,000. From the Salonika campaign some 78,000 sick and wounded were treated, though admissions into Maltese hospitals declined after April 1917 after a number of hospital ships were sunk by German submarines and it was deemed too dangerous to transport the sick and wounded to the island. Many of the hospitals were therefore closed and transferred to new facilities in Greece. Convalescing facilities were also built for the recuperation of the sick and wounded. In May, 1915 tea rooms were set up in Sliema to provide rest and refreshment for the sick and wounded soldiers. The tea rooms were manned by a band of local volunteers and hosted weekly concerts. They proved popular with the soldiers and during the course of the war around 50,000 men were served. In October a Gymnasium in Valletta was converted, equipped with a library, bar, a billiard table and a fully equipped stage and over 80,000 men passed through its doors. Around this time Australia Hall (photograph above) was built by the Australian Red Cross, a combined recreation centre and theatre providing entertainment for wounded soldiers of the Australian and New Zealand Army Corps. There are about 300 Anzacs that are buried on the island, predominately in the three main cemeteries at Pieta, Kalkara and Paolo, including six men from the 22nd Battalion: 582 Pte Chenery; 732 Pte Crowther; 308 L-Cpl Looker; 1223 L-Cpl Fricker; 1944 Pte Parker; 1623 Pte Thomson. All are buried in the Pieta Military Cemetery.